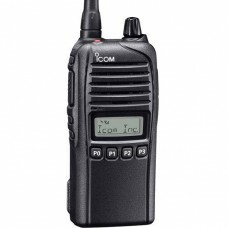 The Icom F3230D / F4230D is the perfect entry level digital radio. With a simplified design, the F3230D / F4230D allows for channels to be designated as either analog or digital. The F3230D / F4230D has extra loud audio (1,000mW) with a powerful built-in speaker, so it can still be clearly heard in some of the noisiest areas. The digital voice technology provides clarity even at the edges of the communication range. It's compact design makes this radio easy to carry. There is a Channel Announce feature so when you change to another channel the radio announces the new channel number. With the Li-Ion battery you get approximately 20 hours of operating time on each charge. In multi-site trunking mode there is a Roam Scan feature so if the signal condition degrades as the user moves from location to location the radio will automatically find a better communication path. The F3230D / F4230D series provides NXDN™ CAI-based IDAS digital mode operation. It is also compatible with IDAS multi-site and single-site trunking and IDAS multi-site conventional. If secure communication is an issue, digital signals are more difficult to decode by current scanner receivers due to modulation/demodulation. 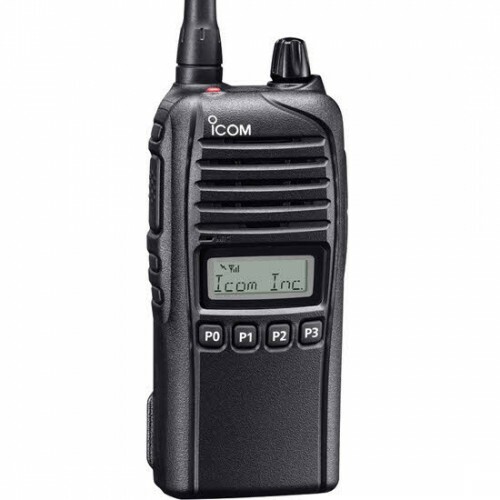 When used in Icom's IDAS™ system, the F3230D / F4230D supports the digital voice scrambler function within the IDAS™ system for added security.